What they asked us: Can we save money by bringing our waste management in-house? 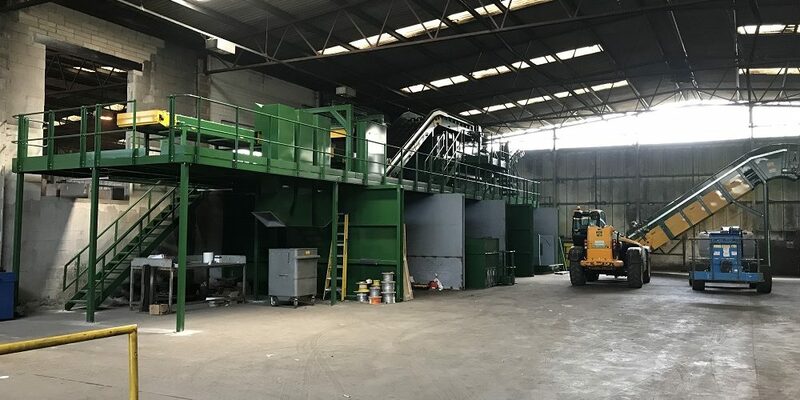 After a successful tender, Whitham Mills were contracted by Torfaen Council to design and build a brand new MRF (materials recovery facility) system from their Cwmbran site. Commissioned in July 2018, the new MRF is housed in an existing baling facility and runs 6 days a week. Torfaen Council collects co-mingled and source segregated kerbside material; plastics, steel & aluminium and cardboard & paper. Previous to this the council had a can sorting and baling system that could not keep up with the increase in material due to the Welsh Government’s recycling agenda and the successful kerbside collection rates. 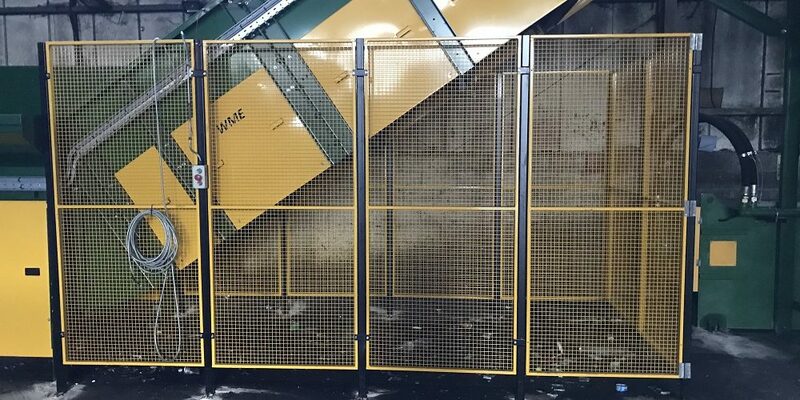 Torfaen Council decided to invest in a fully automated system that would enable the facility to produce high-quality material outputs from materials gathered via kerbside source segregation. Maximizing automation was a key component of the design. 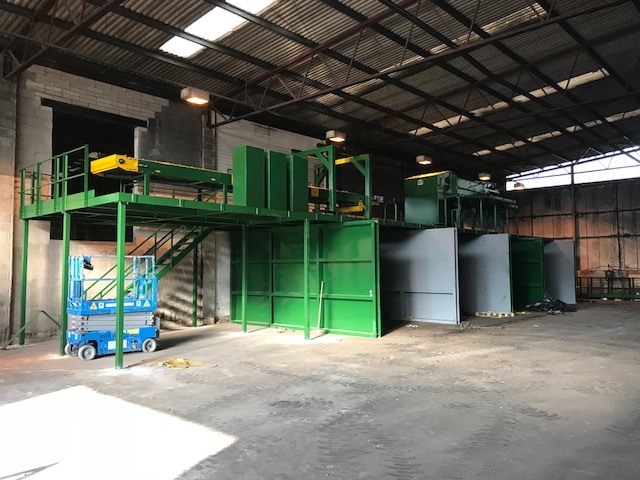 Torfaen’s new baling and sorting system starts with an infeed conveyor which delivers the co-mingled materials (containing plastic, steel and aluminium) onto a 9m x 1m long picking line. This is where operators can manually pick out any contaminates and drop it directly down into waste chutes. Then the material passes through an overband magnet which separates the steel onto a separate conveyor that feeds the steel bunker. The material then continues onto a vibrating feed which evenly distributes the material to be passed over an eddy current which separates the aluminium cans into a separate bunker. Then the plastic material that is left is fed directly into a GB1175TR (twin ram baler) for superior compaction into bales weighing in excess of 400kg. 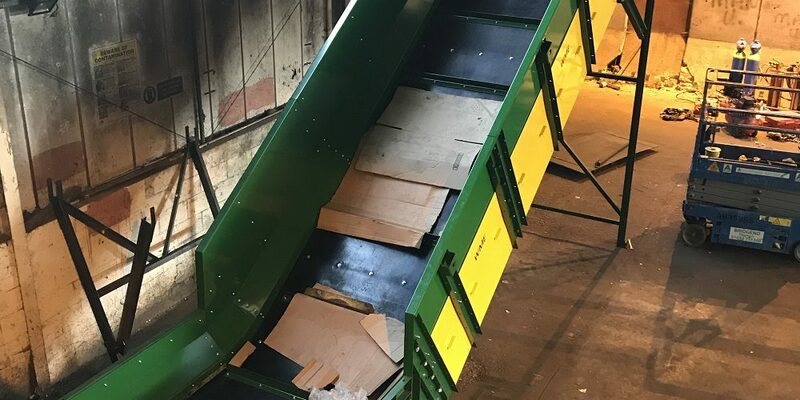 The other feedstock, steel, aluminium and cardboard can be directly loaded into the hopper of the baler when the bunkers contain enough sorted material. The twin ram baler is flexible enough to be programmed to these different material streams; with one touch of a button, the operator can change the prescribed baler settings. Following advice from us, Torfaen Council now has a stringent maintenance regime to help maintain the quality of the equipment and reduce downtime. As well as this daily routine, Torfaen is also supported by Whitham Mills’ extensive service and maintenance plan as well as a 2-yr warranty on the equipment and 24hr assistance. From winning the tender through to commissioning the site, the whole process took less than 6 months. The new MRF is set to make the council considerable financial benefits due to the improvements in efficiency and automation of the process.